How to Impress with the Help of Writing? We usually try to make an impression on those we are not indifferent to. However, the intention of such an impression could be rather different. So, first of all, we have to decide whom we are going to impress. Is it your teacher of literature or maybe a pretty girl or boy you want to fancy? Thus, after prioritizing, we can create a strategy to strike our victim from the first shot. Taking into account that you have to impress your teacher, you should understand that the main points we have to pay attention to are grammar and stylistics. Surely, he/she will pay attention to the whole structure and to each paragraph separately. Thus, you have to do a great work. However, the first thing you have to remember during the writing is the fact that it is a simple essay. So, you have no reason to invent the wheel. The main aim of yours is to stick to the rules and mind your grammar because no epithets are able to save the text if there are glaring mistakes. If the rules and requirements seem incomprehensible, you may need essay writing help. You should also take into consideration the subject you got your assignment in. If it is literature, you shall be precise and do your best in using literary devices. But if the subject deals with something more serious, you have to be accurate with your expressions and pay attention to what is your primary task or topic. If we are talking about the discipline that has nothing to do with Arts, you shall be aware of not beating around the bush and using too many adjectives, let alone intricate chunks of language. Actually, the accuracy and clarity of expressing thoughts and any other information can also be very impressive. It does not demand a powerful thinking process to remind all the ways of using your writing to impress the person you like. You can just refer to the literature. What can be as romantic as poetry? Guess only letters, but let’s be patient. It goes without saying that writing a poem is the most difficult way to make an impression, but you just have to imagine the possible consequences. You can find proper words in order to describe your very feelings, attitude or even the person themselves. However, if you have no talent, it is better to try prose. Do you want to impress with a personalized poem having no talent for it? Okay, then request it done at WriterCheap.Com and both you and your soulmate will be thrilled. Writing an essay is not as impressive as writing a letter. 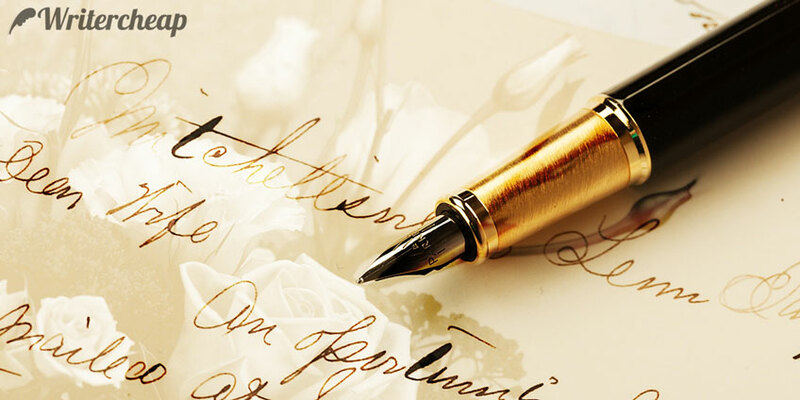 Thus, you can provide yourself with the rules of writing the letter and some examples of it from the world literature. Hope there is no point to remind you to watch your grammar. However, your letter has to be well thought-out and full of literary devices, which will turn it into a medieval note or a splendid beauty hymn of the Renaissance era.